You loved Printing Violations, and you tolerated Printing Violations (Part II), so we’re back again with another episode of Printing Violations, this time looking more closely at the health issues surrounding 3D printed cookie cutters. Is ABS or PLA plastic filament food-safe? 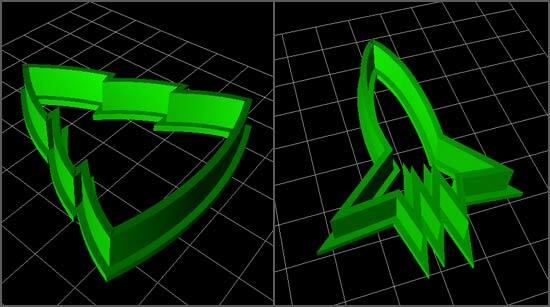 If you’ve ever looked at a 3D printed object, you may notice the ridges. Since it’s built up layer upon layer, there are spaces into which food could get stuck. 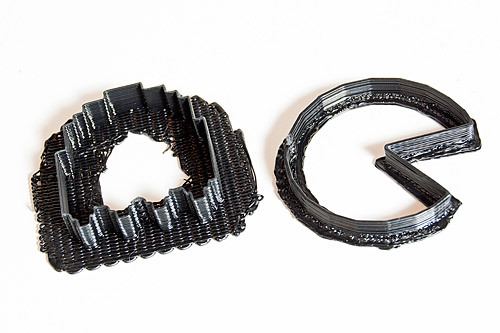 Of course you can try to clean your 3D printed cookie cutter, but don’t put it in the dishwasher! For PLA prints, the heat will either melt it, or deform it, or do some other nasty thing to it. ABS may be better, but you will still need to heat it enough to sterilize it, and hope you can get the crevices clean. It’s been suggested that acetone vapor finishing might be helpful. Helpful enough? Not sure. 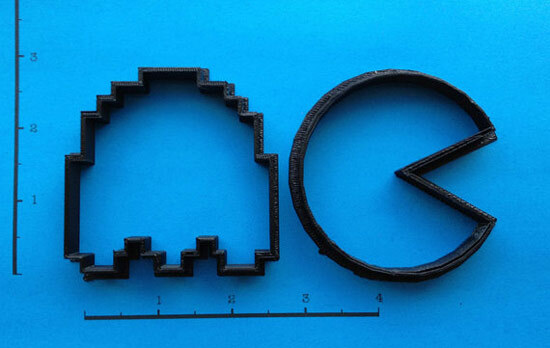 Of course you could use your printer to make a mold and then make a food-safe cutter out of another material, but that’s not really a 3D printed cookie cutter. You could also try to coat your printed piece with a food-safe coating, but that’s a lot more work. So why does all this matter? Because right now, there are people printing cookie cutters and selling them, and there are also people 3D printing cookie cutters, making cookies with them, and selling the cookies. As mentioned, selling food you make yourself is regulated in most areas, and if you want to start up a business baking in your kitchen and selling the goods, you’re in for a lot of work. I know, I know, it’s all in the name of safety for the public, but there’s a crap-ton of regulations and rules you’ll need to follow. Many places require you to have a kitchen physically separated from your home. As usual, I am not a lawyer, I’ve just done a bit of research. From a maker perspective, we just want to make things! From a public health perspective, let’s try not to make anyone sick, okay? And yes, I have indeed used 3D printed cookie cutters to make cookies (at least twice) and then gave those cookies to people to eat. No one died yet (that I know of.) I didn’t attempt to re-use the cutters though, so they were a one-time use item, which is probably safer than trying to clean them. 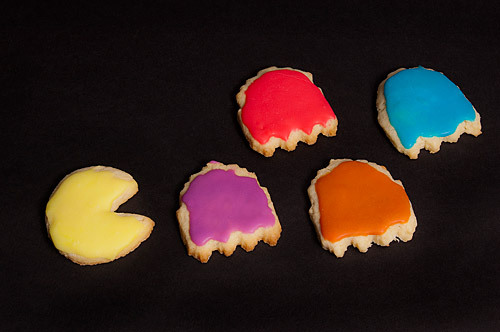 Advice: If you’re going to 3D print cookie cutters, use them only once! Now, as for 3D printing cookie cutters, and then using them to make cookies and sell the cookies, well… This may be worse, since you’re selling actual food that has been created using materials that are questionable as far as being food-safe. Once again, I am no lawyer, but you may need one after selling those cookies. In conclusion, be safe, people. Many folks are fine with the idea that a piece of ABS plastic touches cookie dough for a second or two before it’s baked at 450 degrees for 10 minutes, and others are convinced it’s insane to do such a thing. As with everything, there’s probably some middle ground. Thanks for reading this, and keep making cookies! Back when I wrote my Printing Violations? post I brought up the issue of licensing, and while I am a believer of open culture and sharing, I’m still torn on the topic of artists who take the creative work of others (even if the “others” are huge corporations) and use it to make money. Now I’ve somehow turned what started as a hobby into a full-time job! So yeah, I’ve not sold anything I’ve made yet using art from OpenClipArt, but at least I’d feel fine doing it. And yeah, I have friends who make good money making things based on successful movies, games, books, etc. Maybe this is just the world we live in now, where everyone is a maker and selling of things, and it’s all just a big mash-up anyway. A.) Using things others have created to make things for yourself. B.) Using things others have created to make things to give to family/friends as gifts. C:) Using things others have created and creating design files that others can use. D:) Using things others have created to create and sell things. I’m all for A. and B., and I think C. is pretty much OK. (Think of the many items on Thingiverse) As for D., that’s the one I’m still not sure about, and that’s the one Athey and Warpzone Prints falls under. What do you think? Since I’ve been playing with the MakerBot at the Milwaukee Makerspace, I figured that I should print something useful, and what’s more useful than cookie cutters! Since I’m still dabbling in 3D modeling, and haven’t really nailed down a workflow yet, I decided to try something besides the CookieCutter-Editor. I ended up drawing the ghost in Photoshop, and then bringing it into Inkscape to trace it. I then followed this Inkscape to OpenSCAD dxf tutorial to convert the SVG into a DXF file, which I then exported and brought into OpenSCAD to extrude into a 3D model. 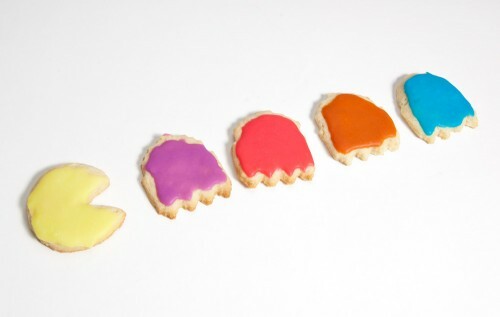 The Pac-Man shape from the CookieCutter-Editor had a wider edge on one end, which is what a cookie cutter should have. 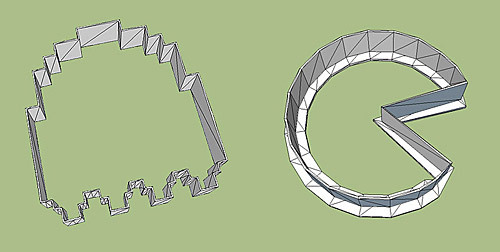 (You can see this in the 3D wireframe in the top image.) The ghost shape does not have this wider edge, because I don’t know how to create one yet! I solved this issue by printing the shape with a raft, which you can see in the photo of the printed cutter. It’s not the prettiest cookie cutter, but it certainly did work. We’ll probably make more of these for BarCampMilwaukee6, and may throw a few more shapes into the mix if I get a bit time with the MakerBot before then. 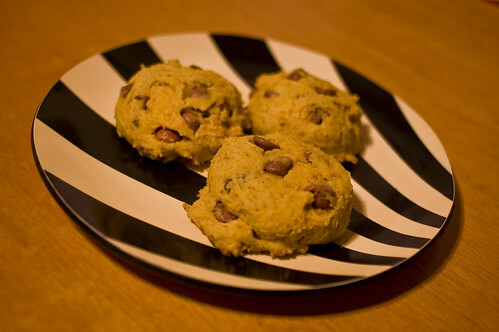 Here’s my recipe for Pumpkin Chocolate Chip Cookies. Grease baking sheets with canola spray. In a large mixing bowl cream 1/2 cup butter with sugar until fluffy. Stir in pumpkin, egg and vanilla. Sift dry ingredients together (flour through salt) in a bowl. Add dry ingredients to butter mixture, stirring well to combine. Drop batter by spoonfuls on to baking sheets. Bake for 12-15 minutes or until browned. These cookies do not flatten out like normal chocolate chip cookies. They stay sort of puffy. They’re almost like a cross between a cookie and a muffin. A cuffin? A mookie? I don’t know… I find them delicious though. It should go without saying that you should use raw sugar (not processed!) and unbleached flour (not “enriched” or bleached!) and any other more natural/organic materials you can find. But it doesn’t. So I’m saying it.